GE Child Safety Cupboard Locks. 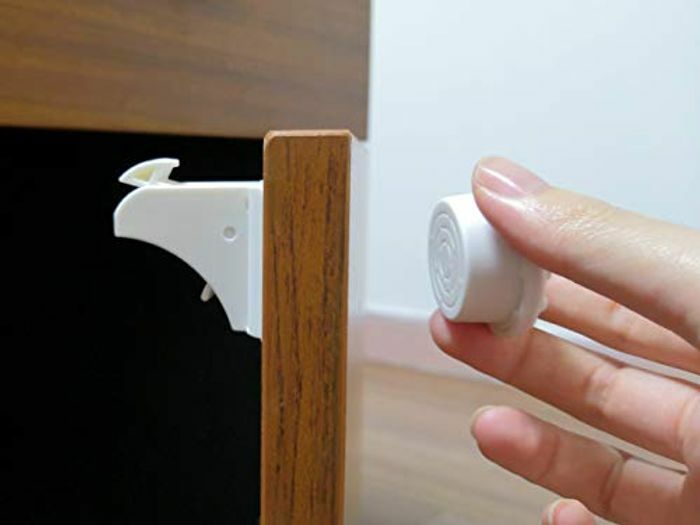 Safety Proof Magnetic Cupboard Locks. 10 Locks + 2 Keys. Easy to Install in Seconds with Simple Adhesive Stickers. Latest Design. No Screws or Drilling into Drawers. where is the voucher code? ?